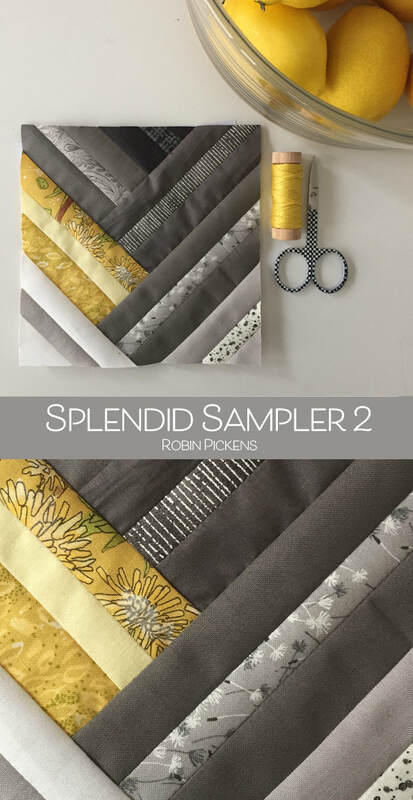 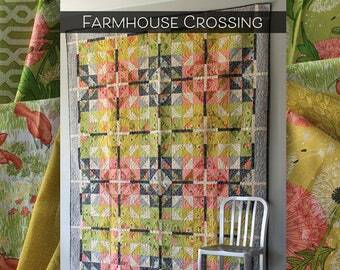 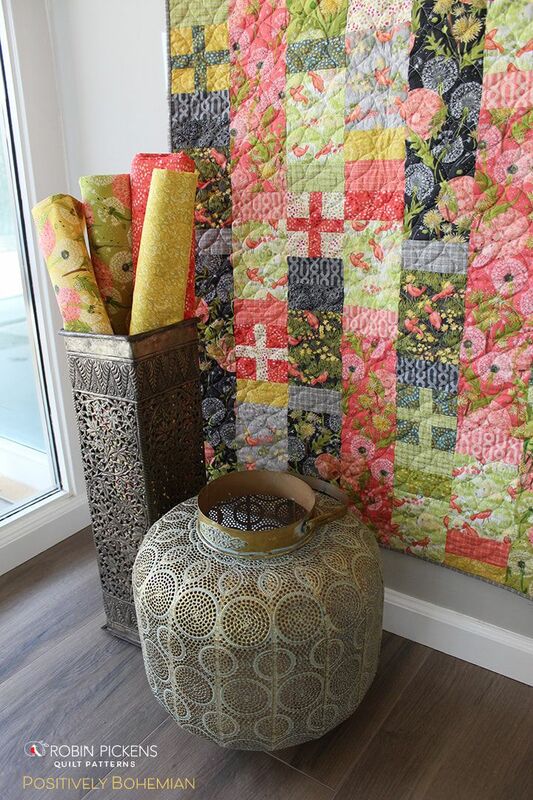 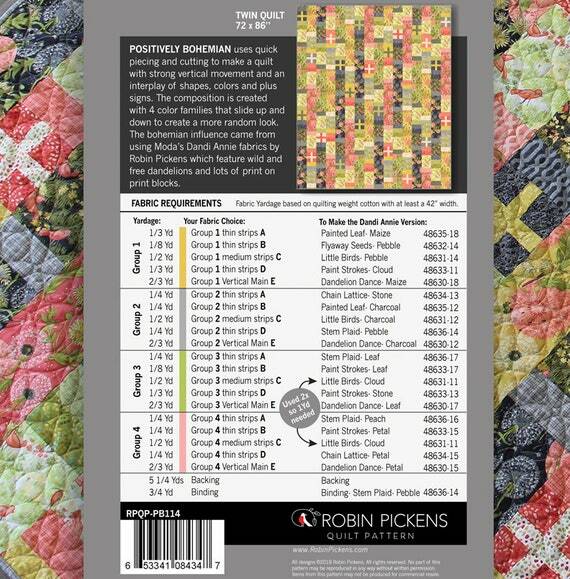 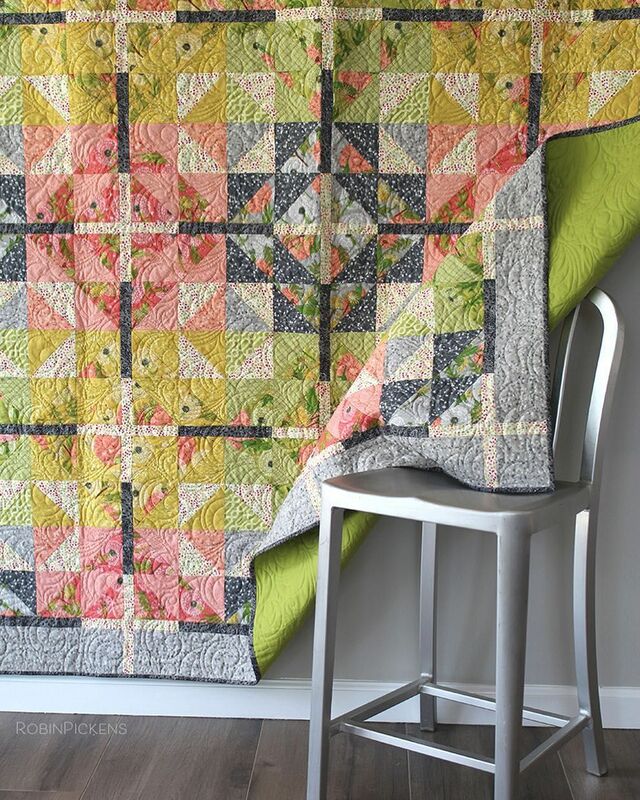 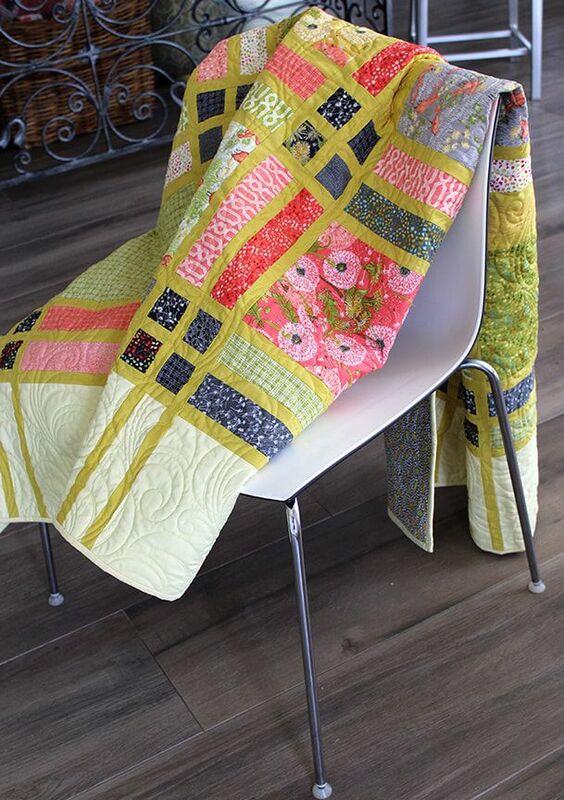 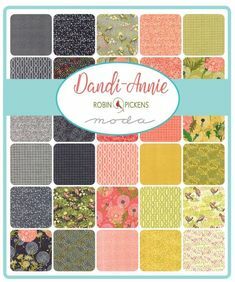 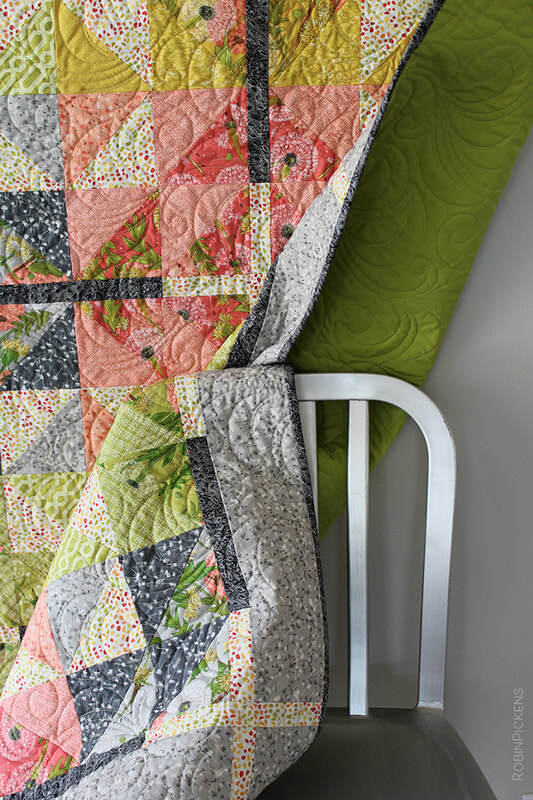 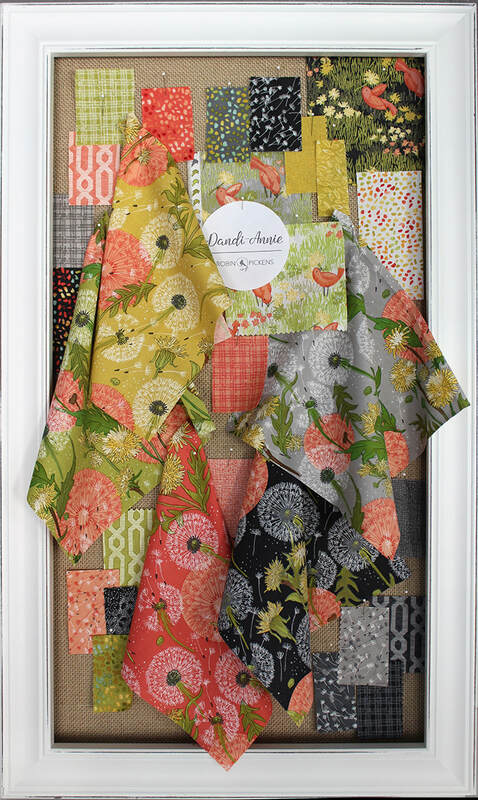 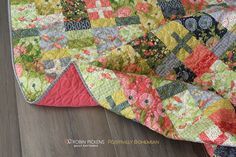 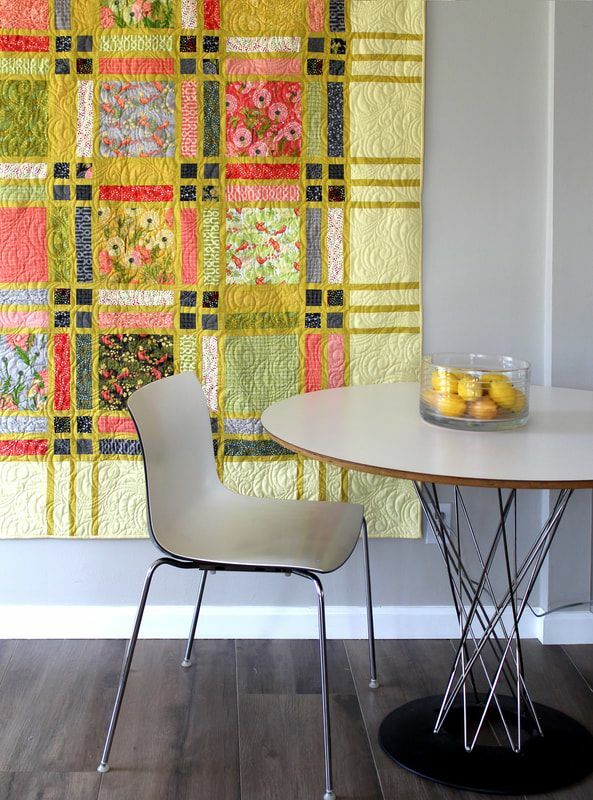 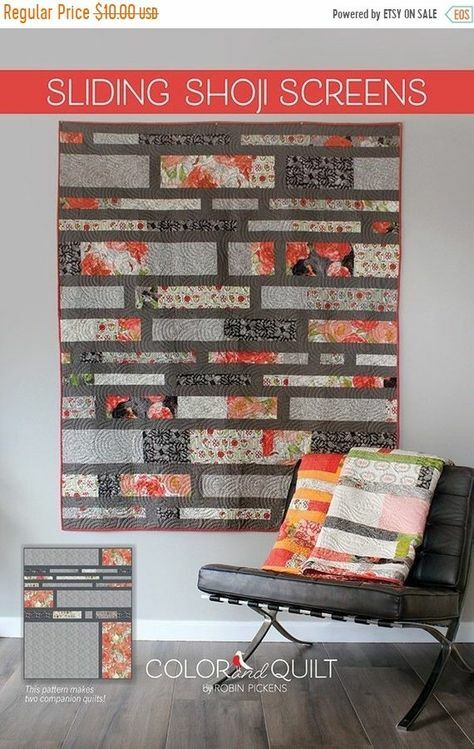 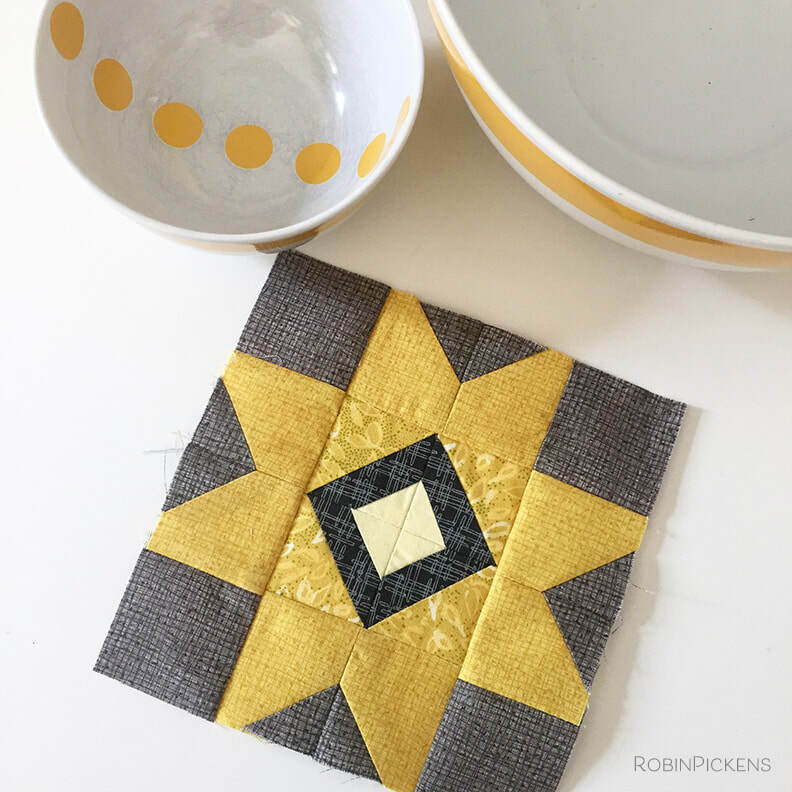 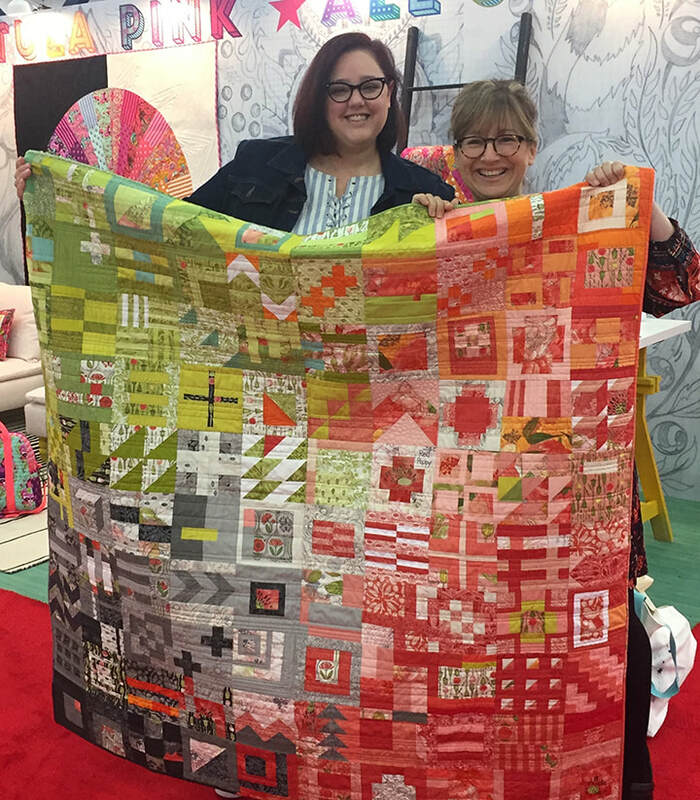 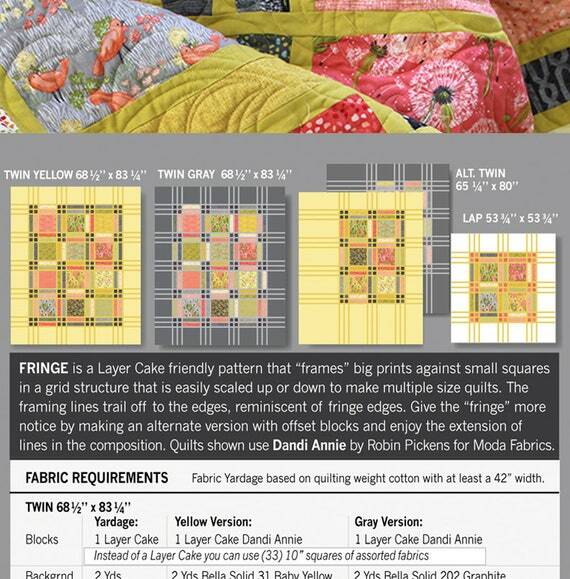 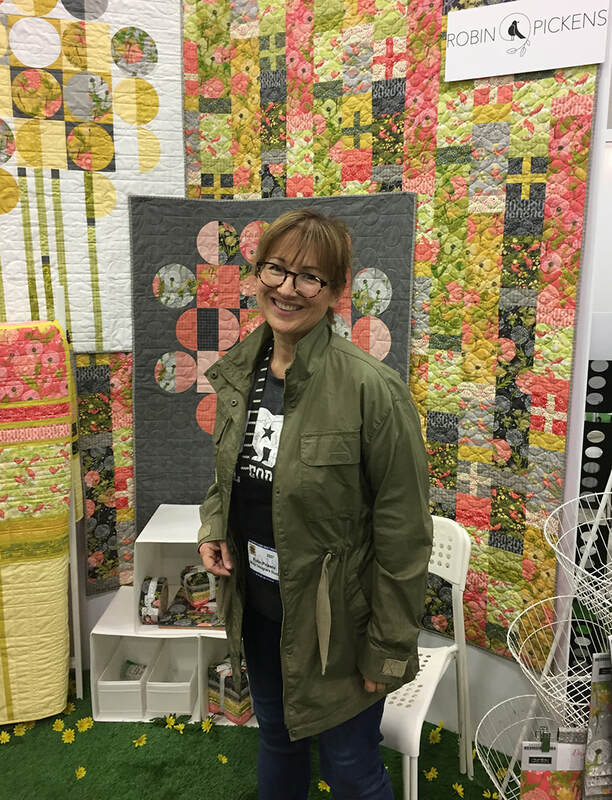 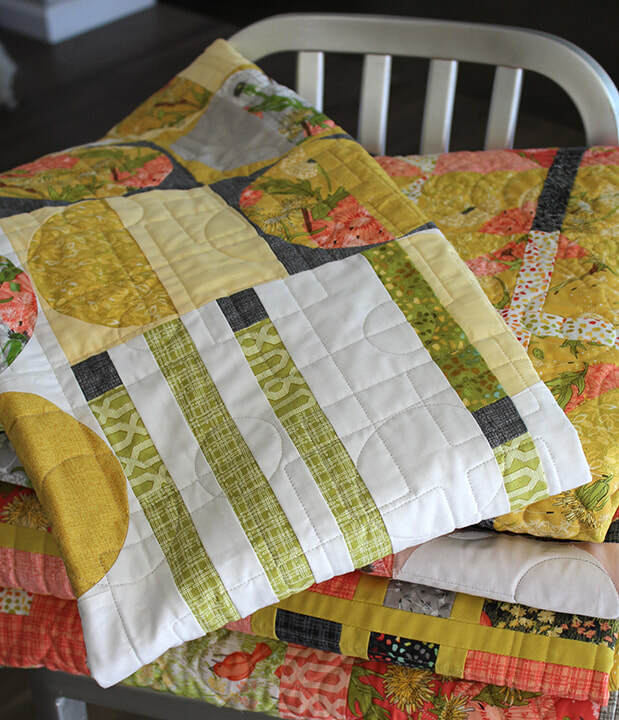 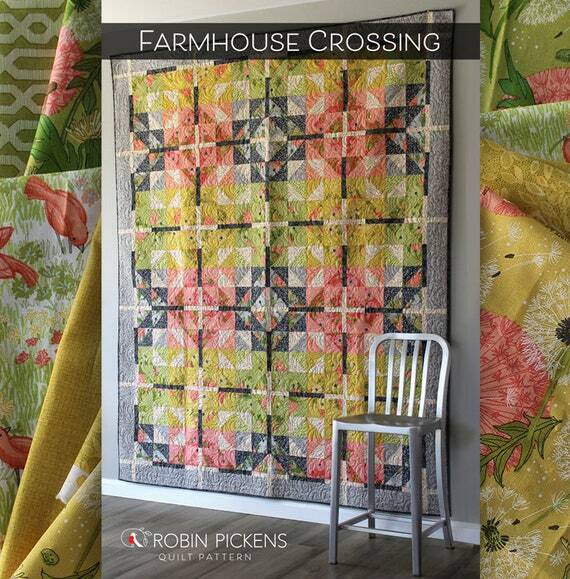 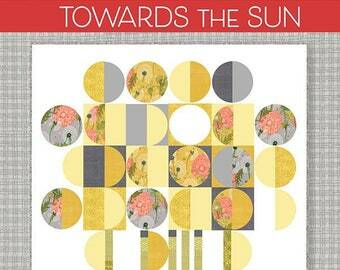 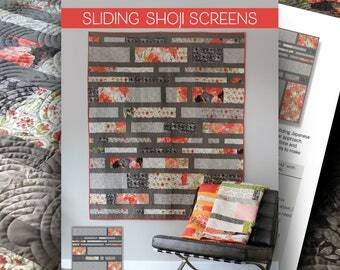 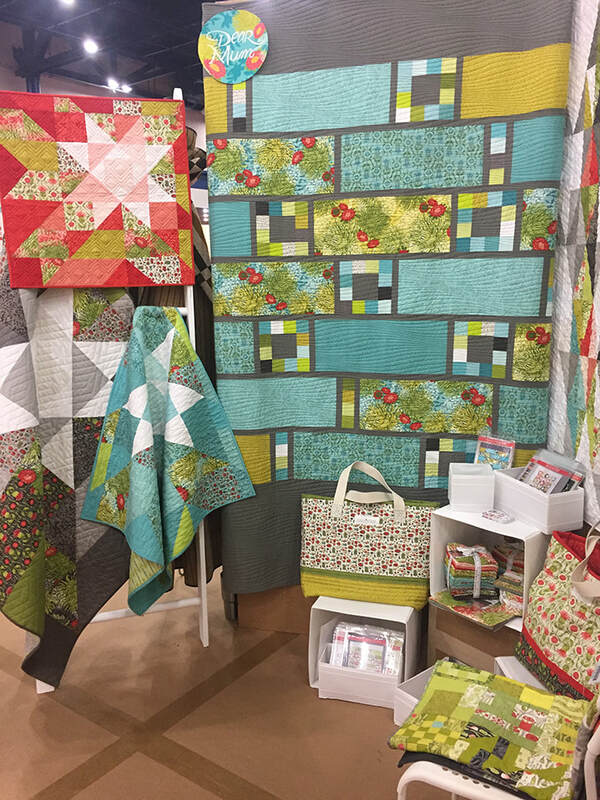 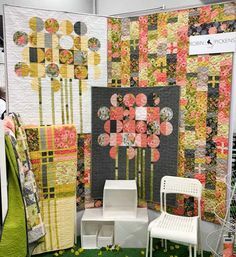 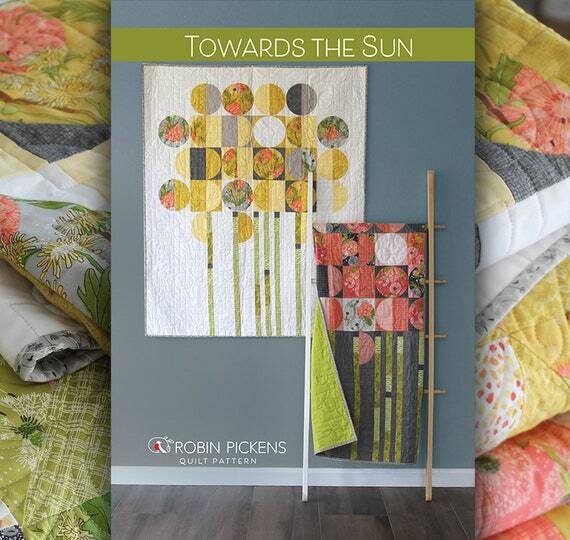 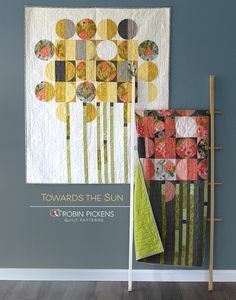 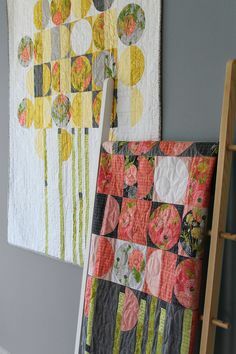 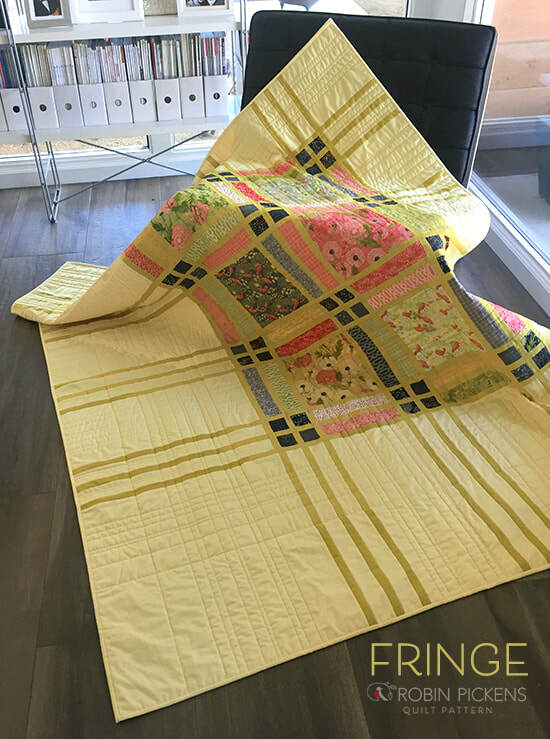 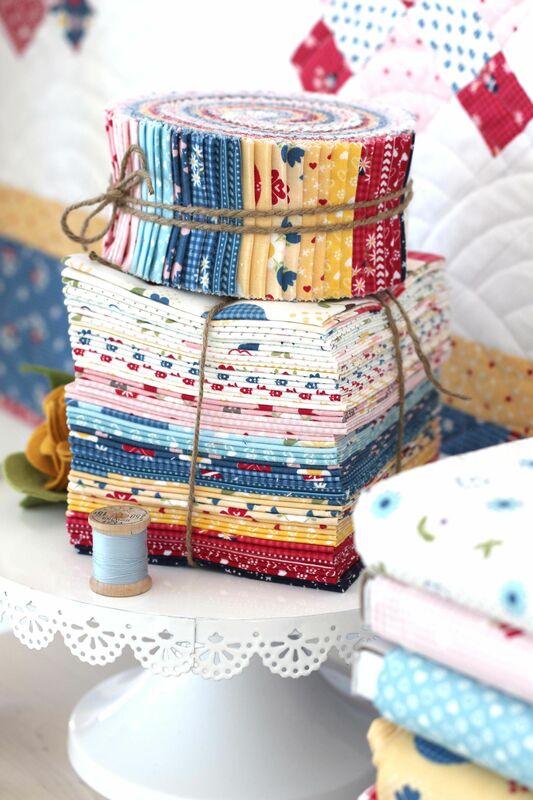 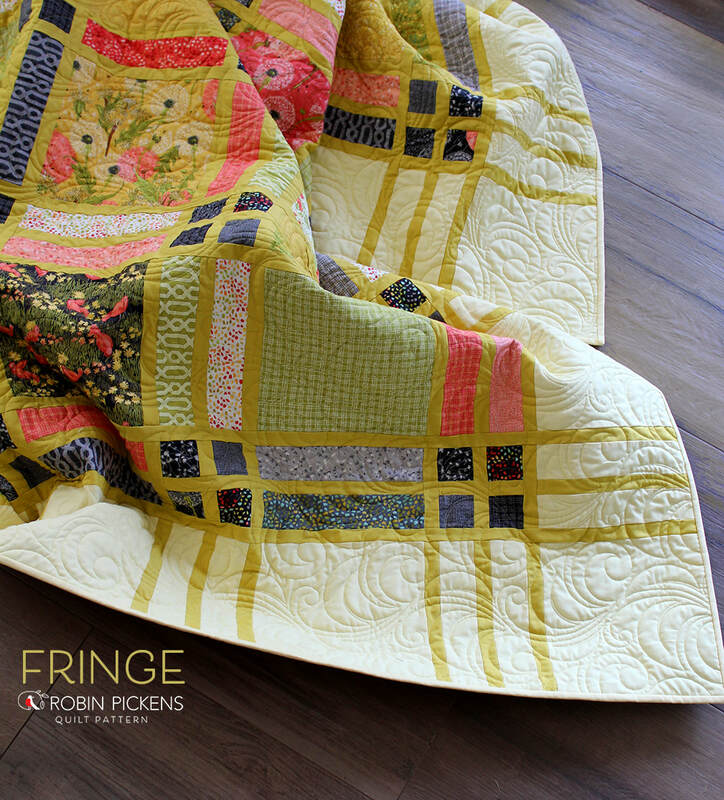 Dandi-Annie collection by Robin Pickens with dandelions and warm sunny colors! 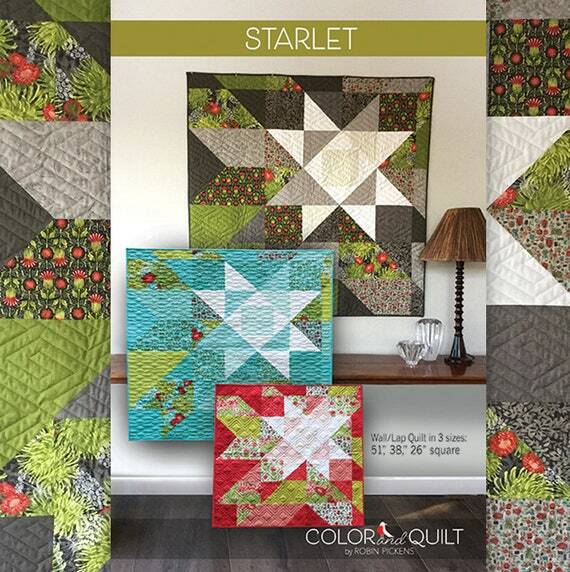 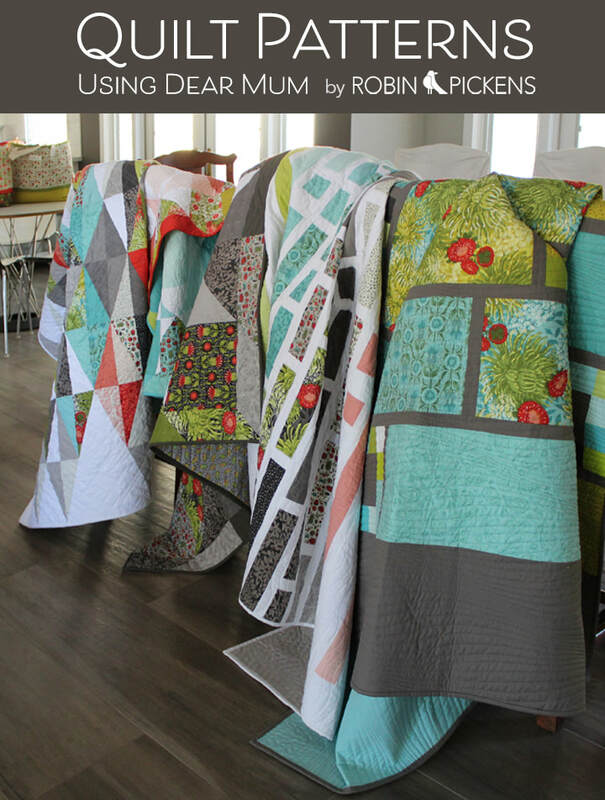 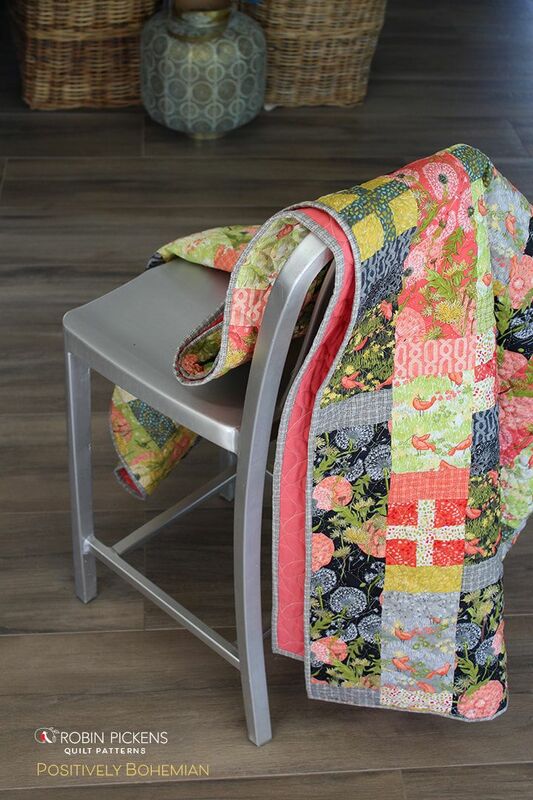 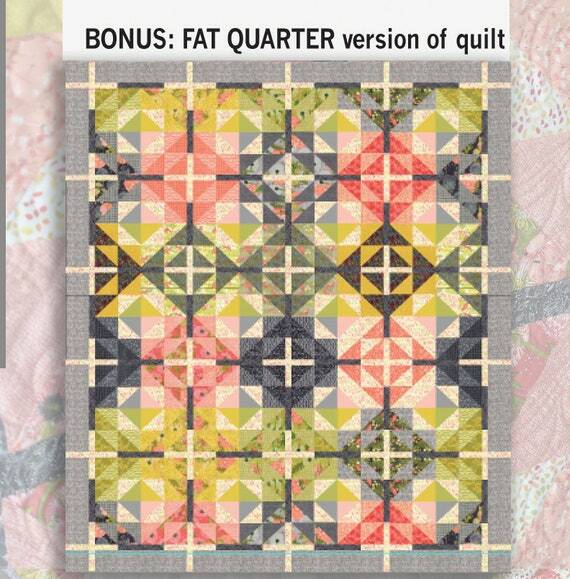 The quilts I've designed to show it off have been the easiest group so far. 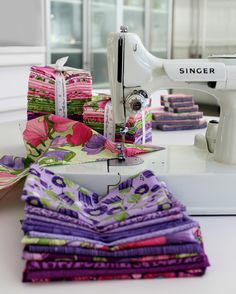 They sprouted out of my mind, as quickly as a weed! 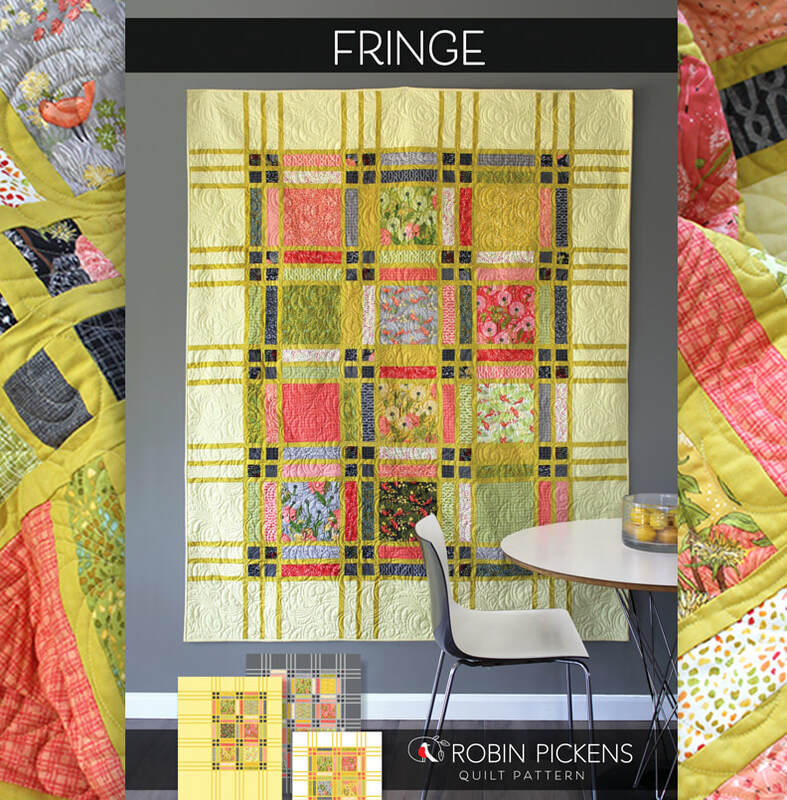 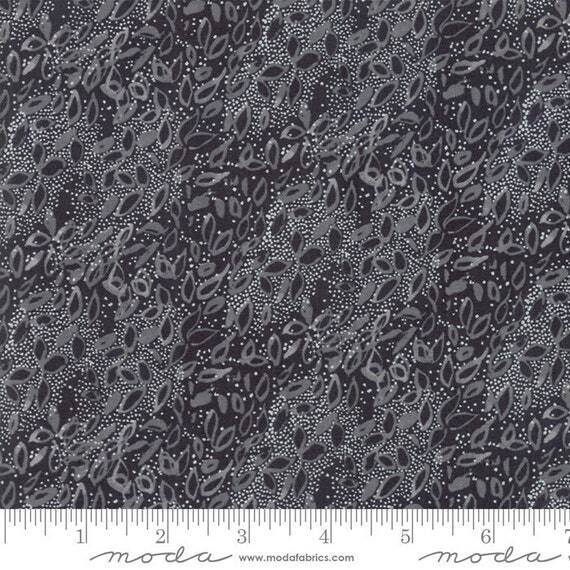 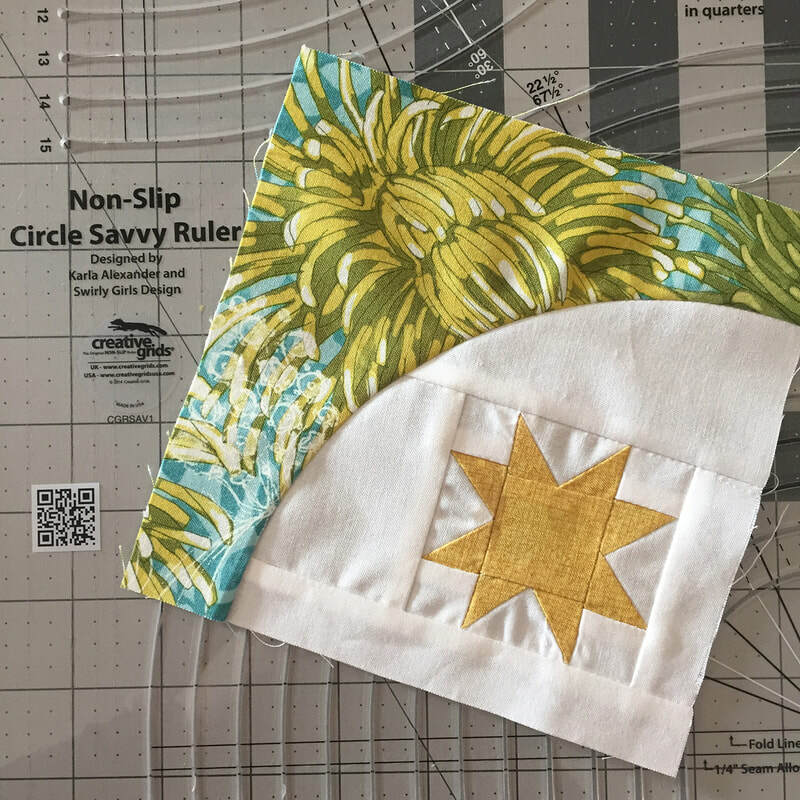 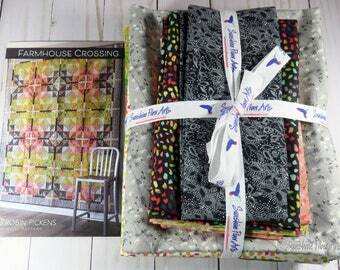 If you are a shop with the FRINGE pattern and would like to print out this page to cut up and insert in the patterns, please download it here! 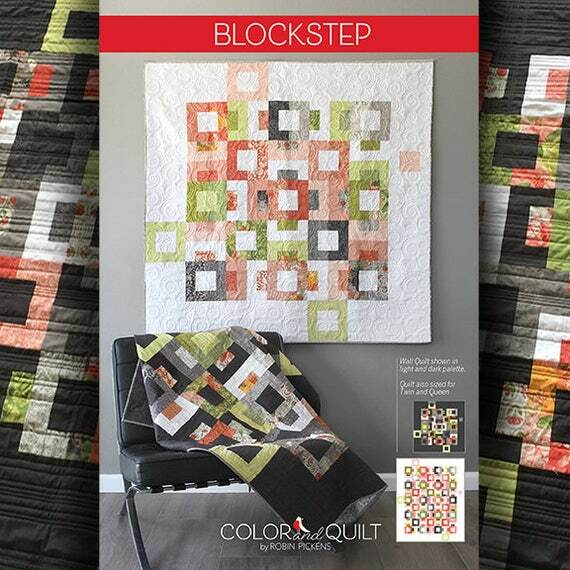 I like to group my sections of blocks by colors. 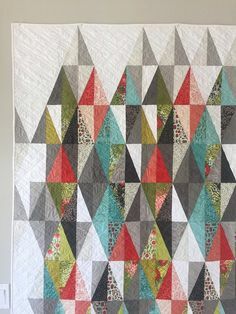 I like pockets of green and red and gray that play together with similar colors. 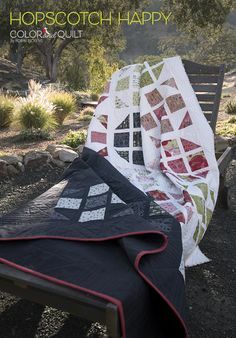 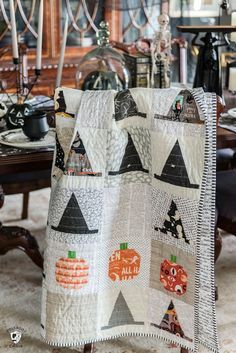 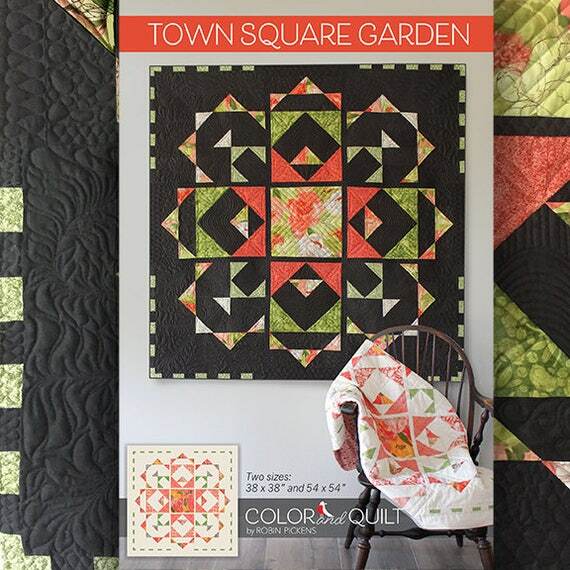 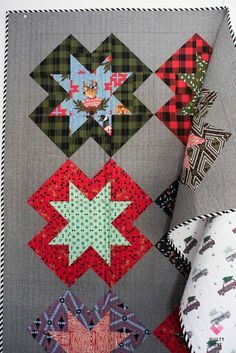 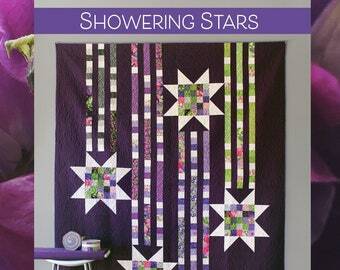 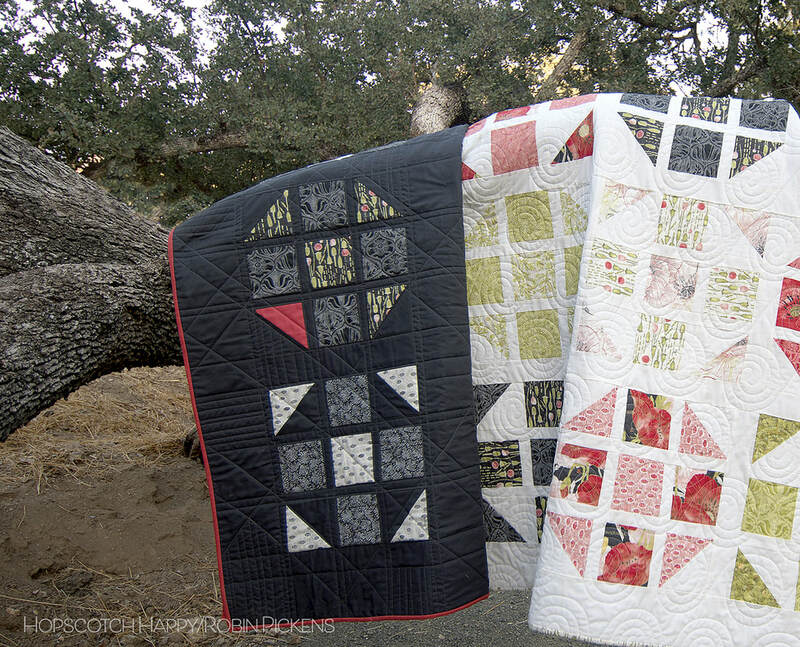 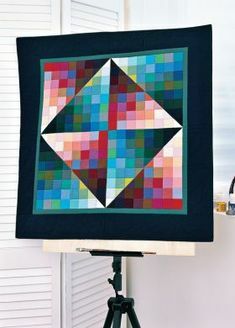 The Halloween Haberdashery Quilt is a fun Halloween quilt made using Witch Hat quilt blocks! 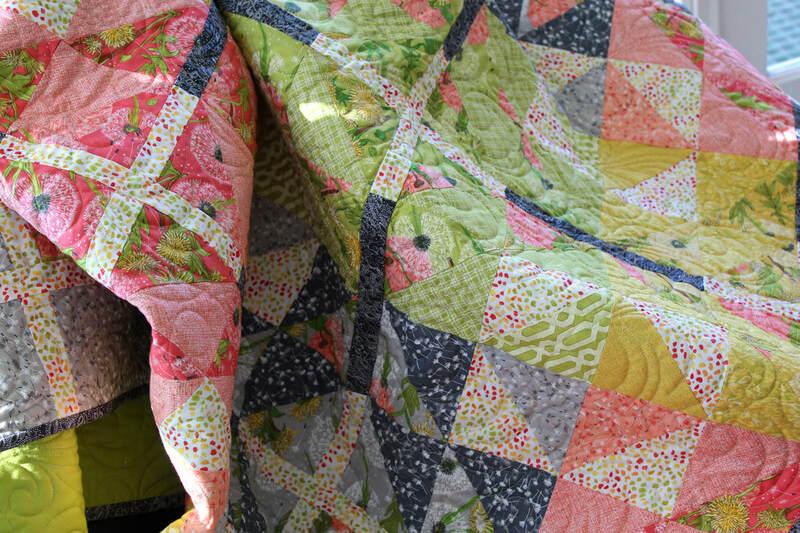 Teasing you a little with Tilda's Bird Pond. 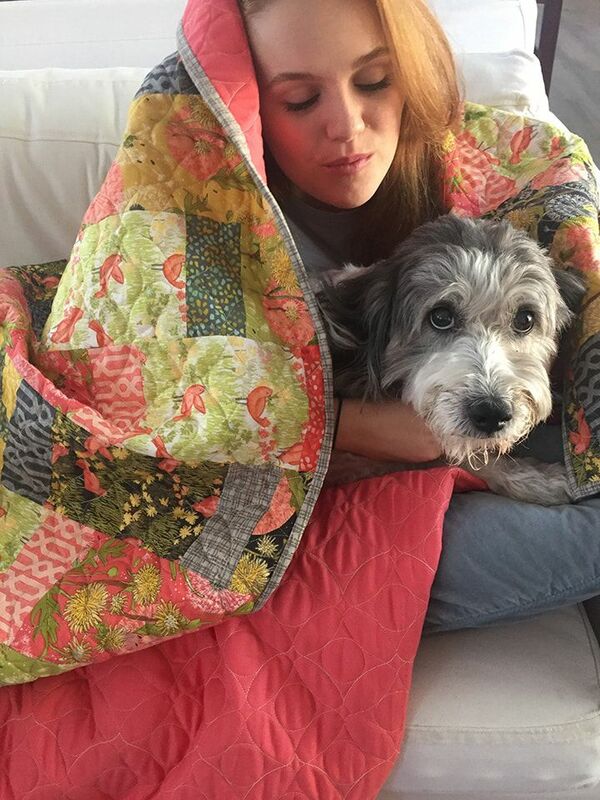 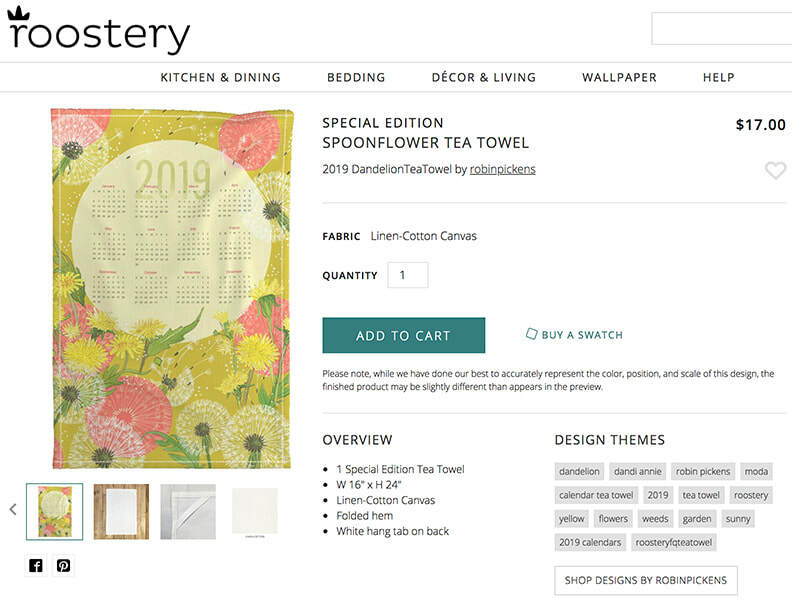 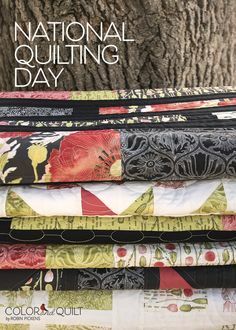 Well it's my day again as a Riley Blake Design Team member and I have something super fun to share today ;) And here she is . . 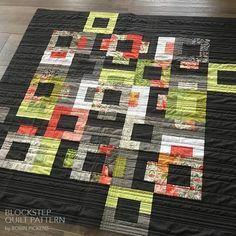 The Cottag. 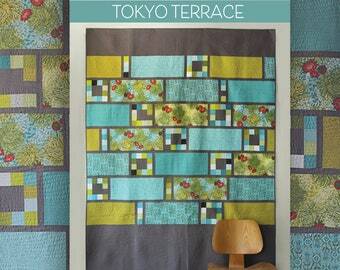 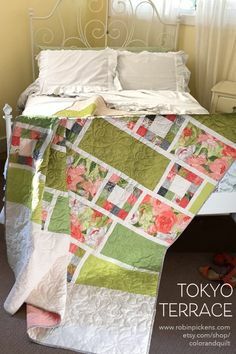 TOKYO TERRACE QUILT PATTERN (the original Blushing Peonies pattern- corrected in Dear Mum version): Couple of mistakes. 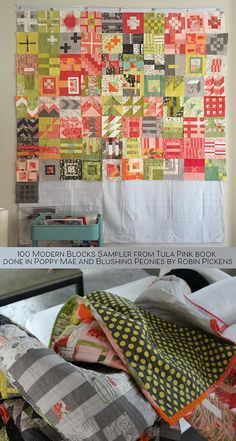 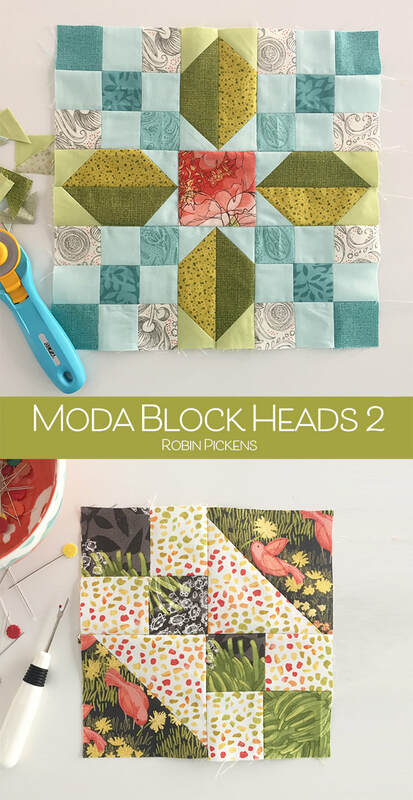 These are just a couple of the blocks and I'm loving the mix of sizes in this project. 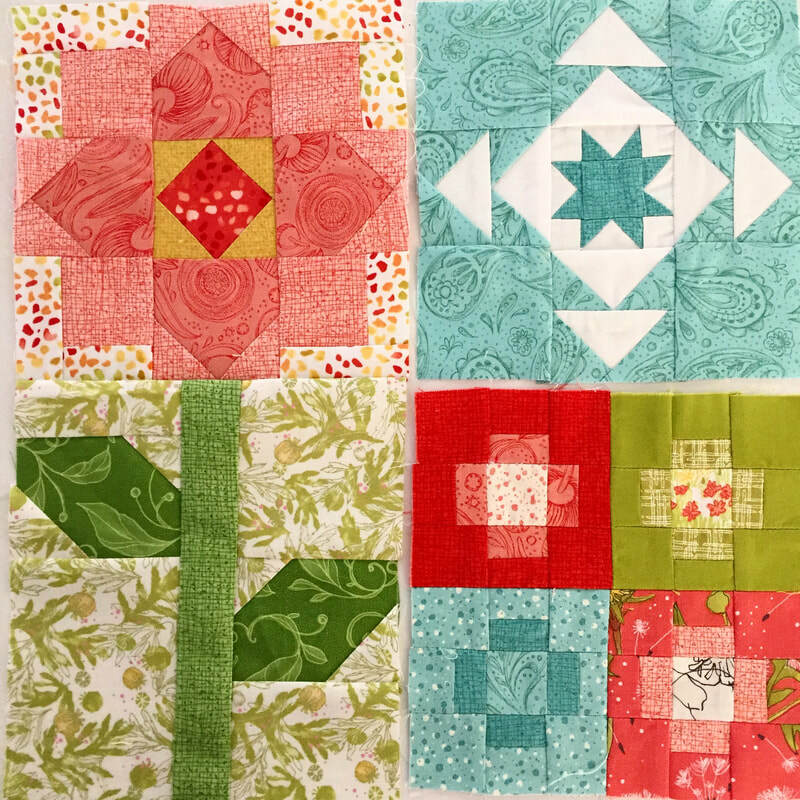 We have 6" blocks up to a 24" block! 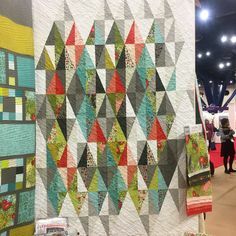 That is huge! 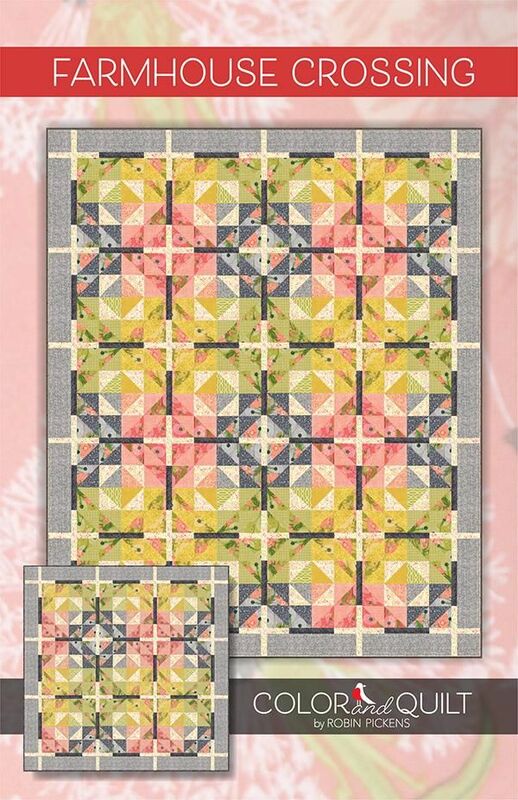 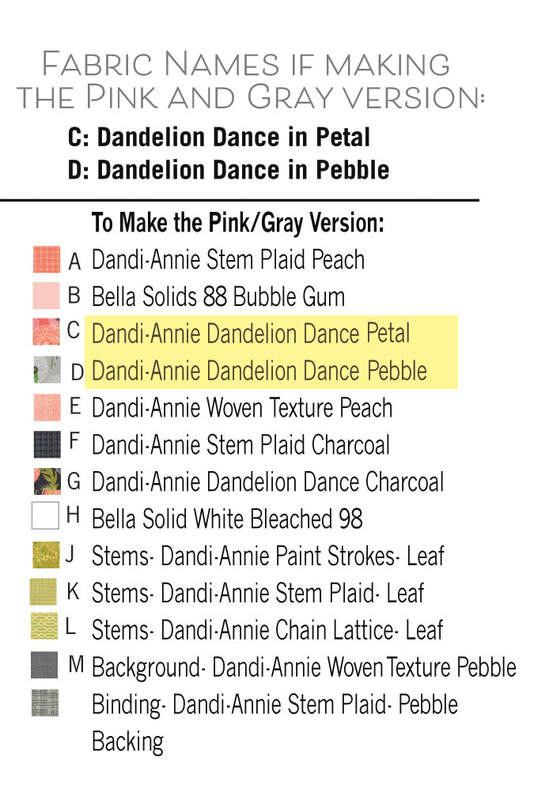 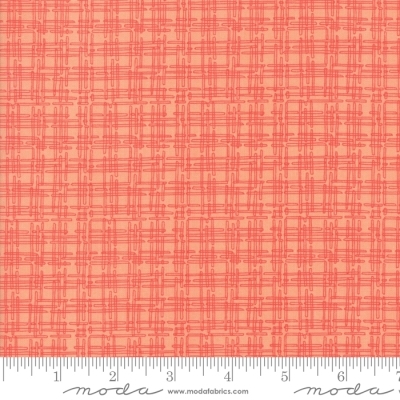 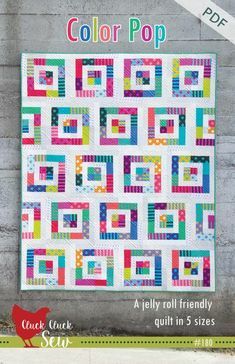 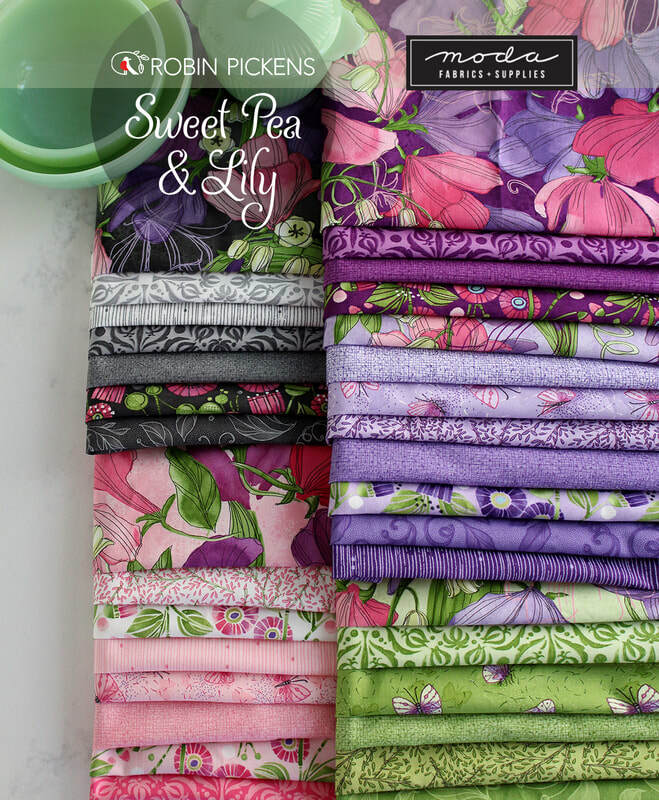 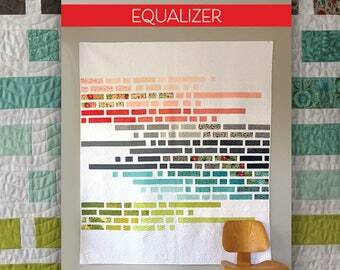 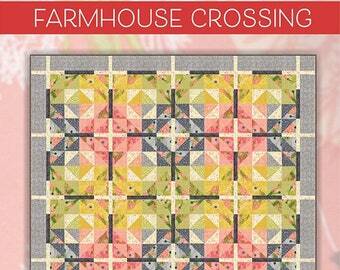 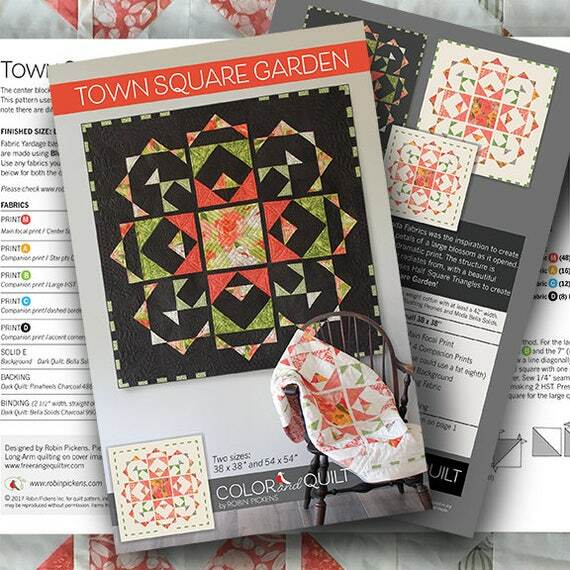 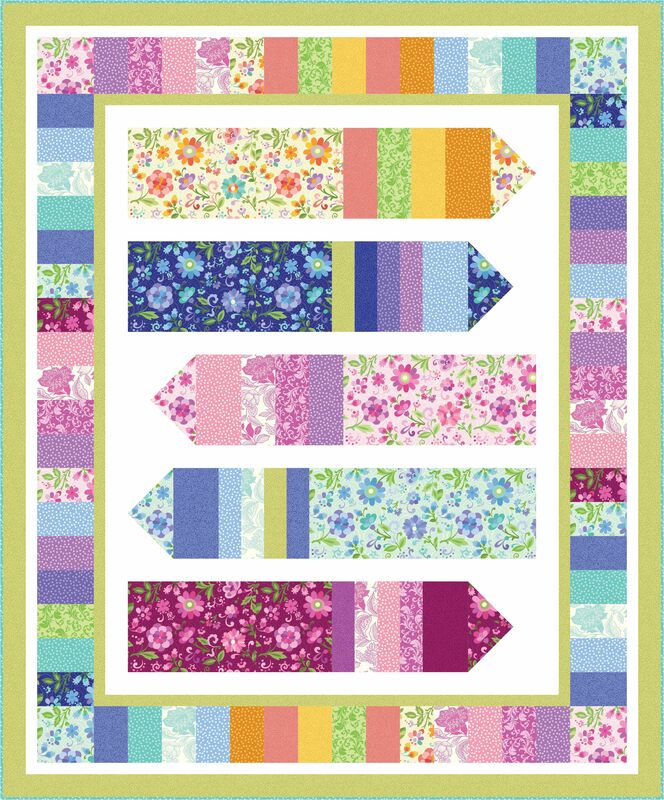 Check out our FREE "Candy Crayons" quilt pattern using the collection, "Mix & Match" by E. Vive from Contempo Studio. 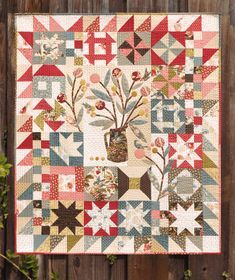 Designed by Wendy Sheppard. 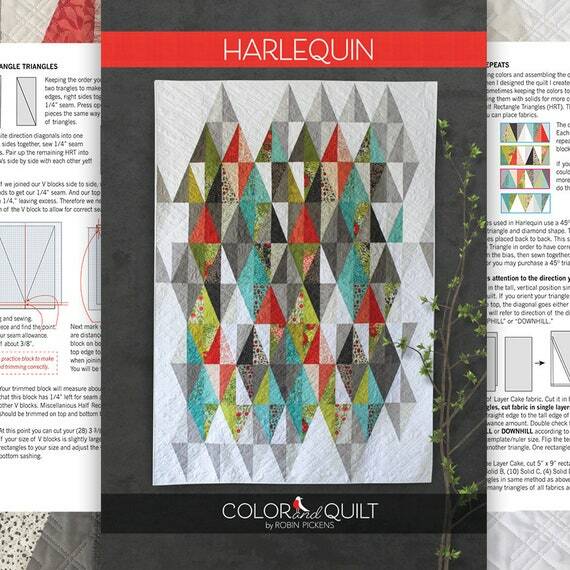 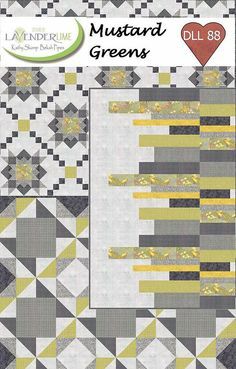 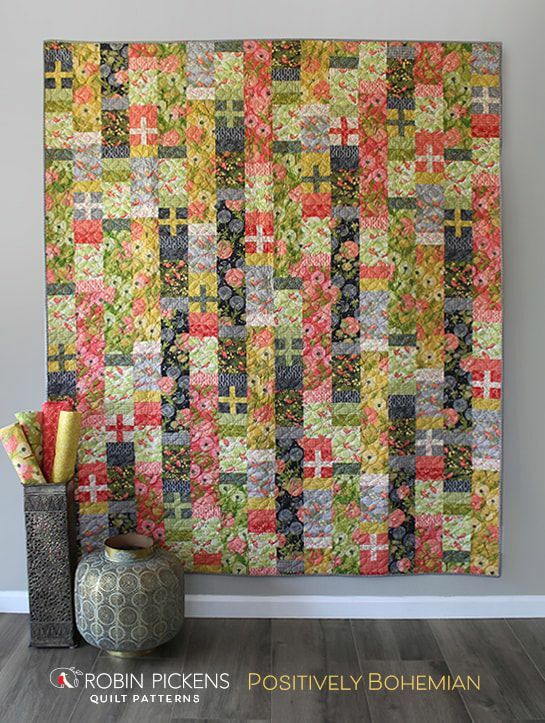 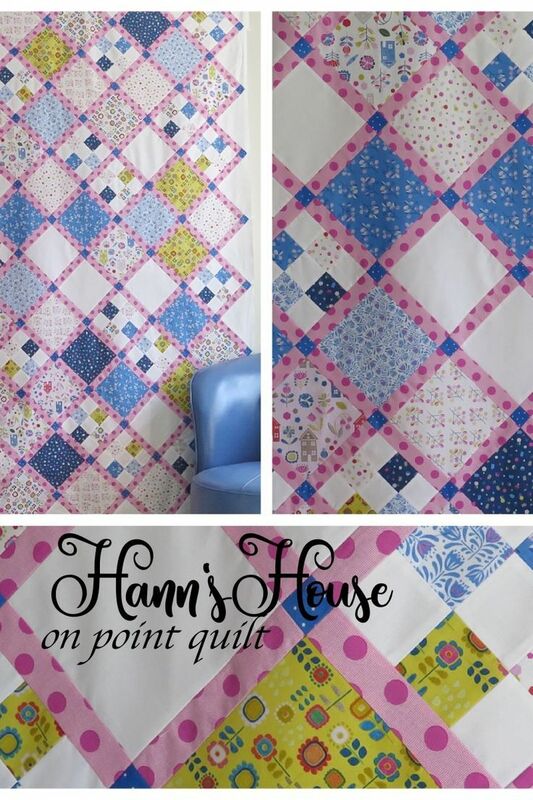 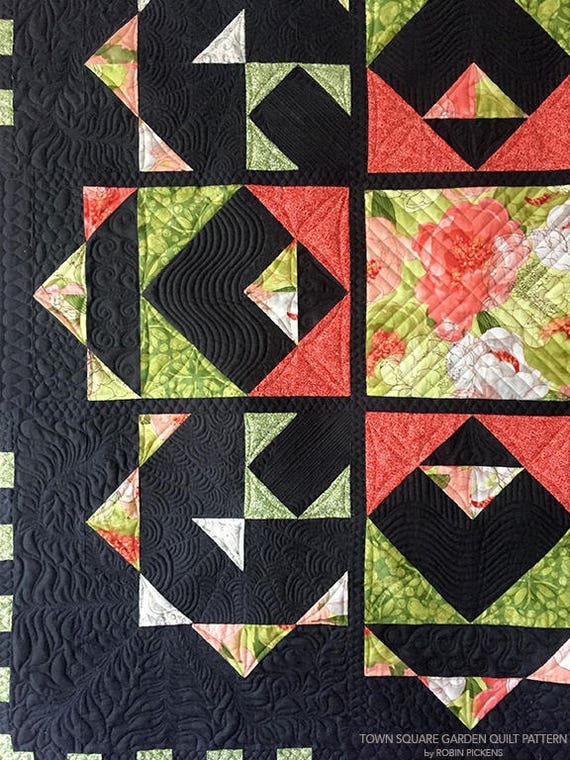 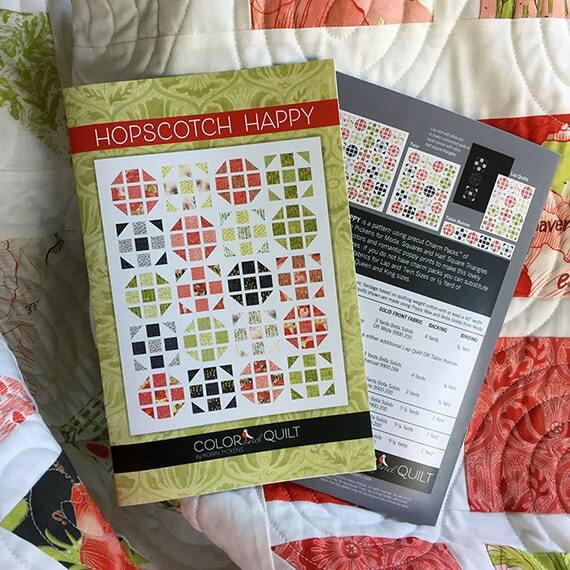 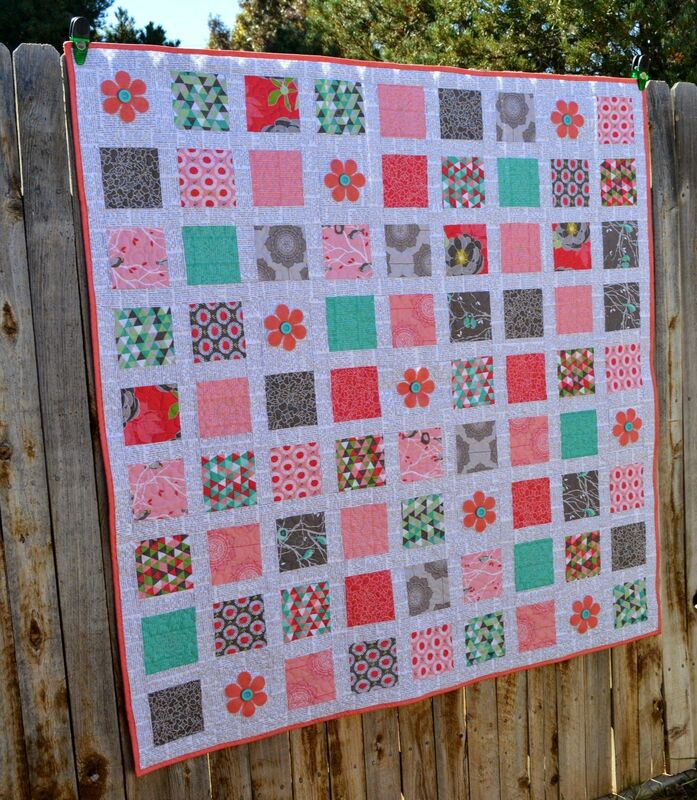 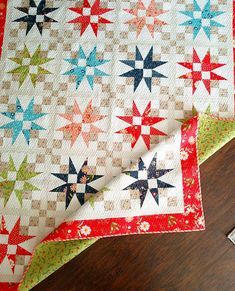 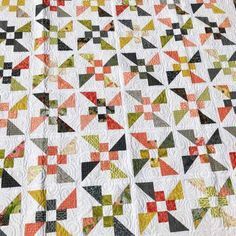 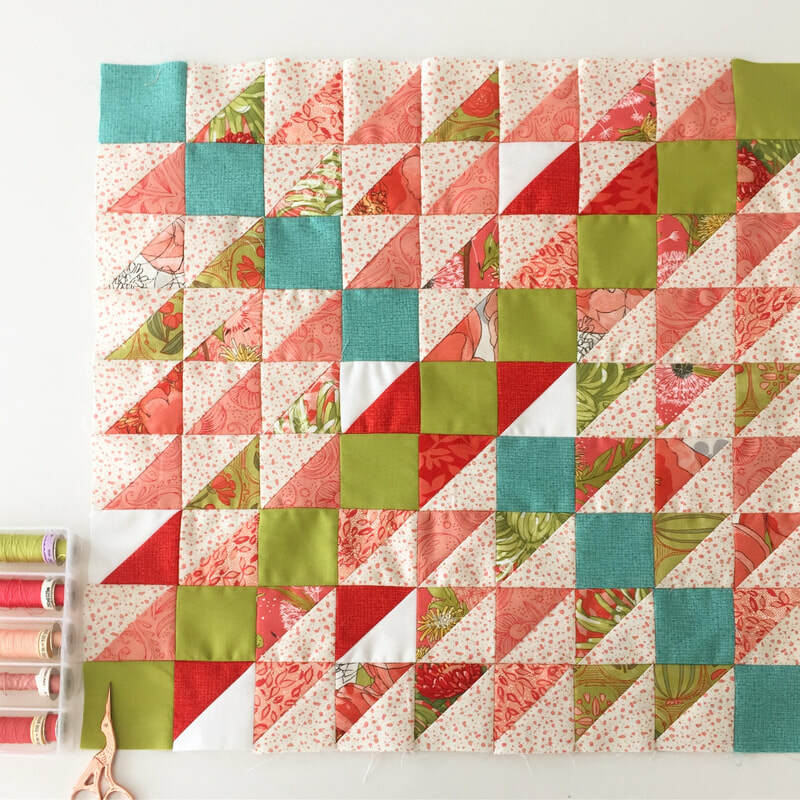 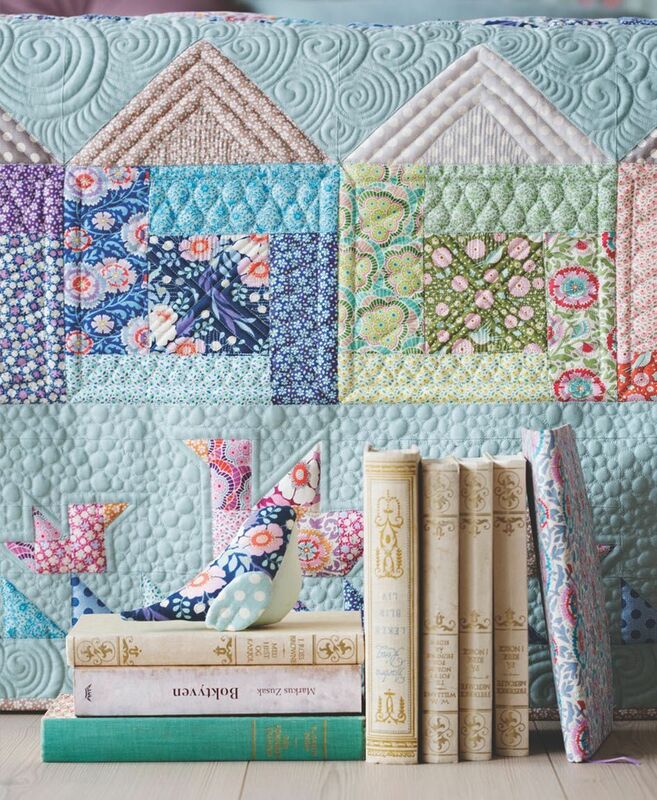 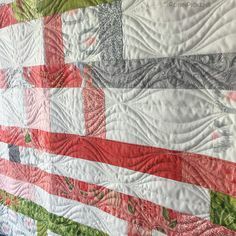 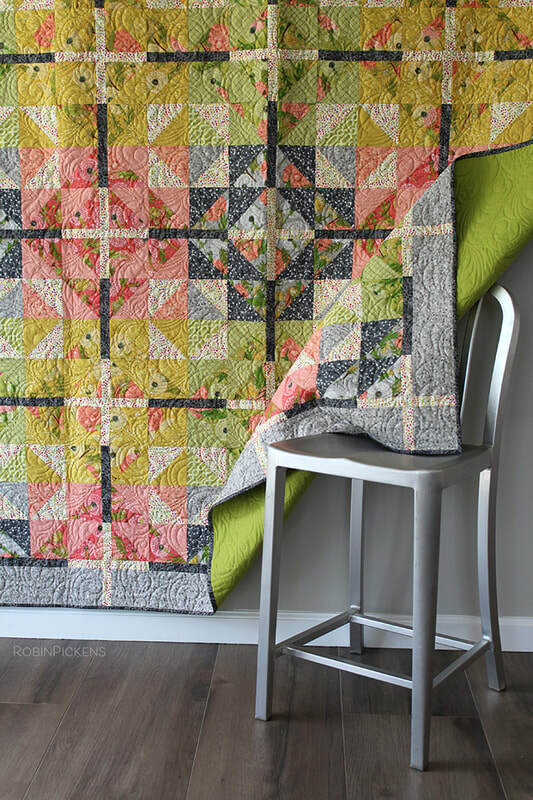 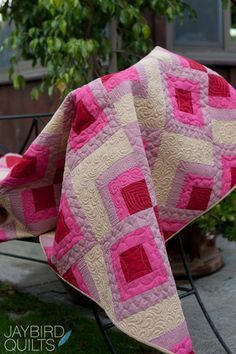 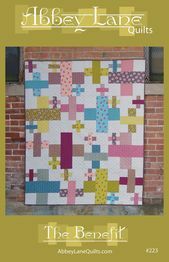 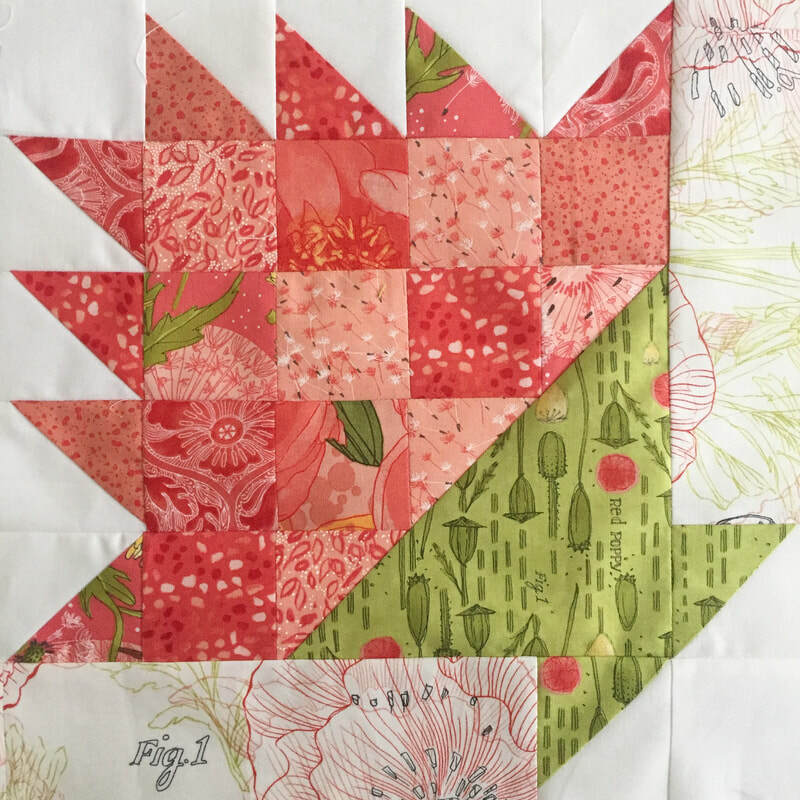 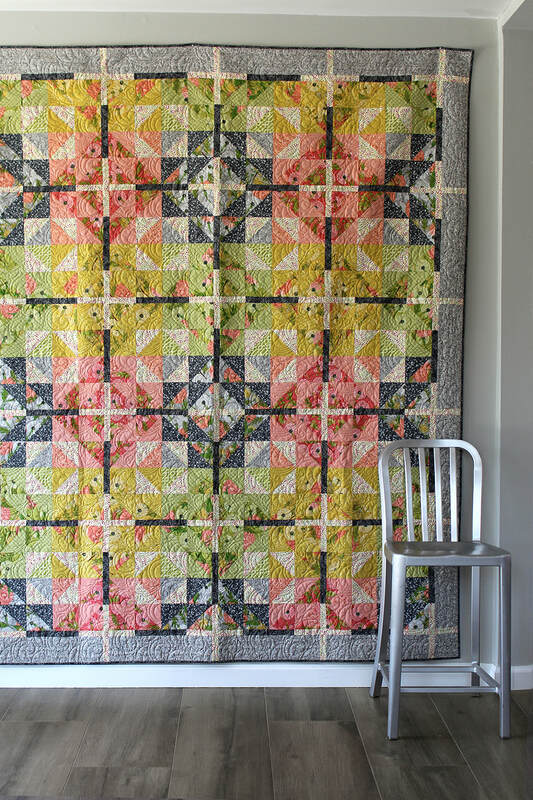 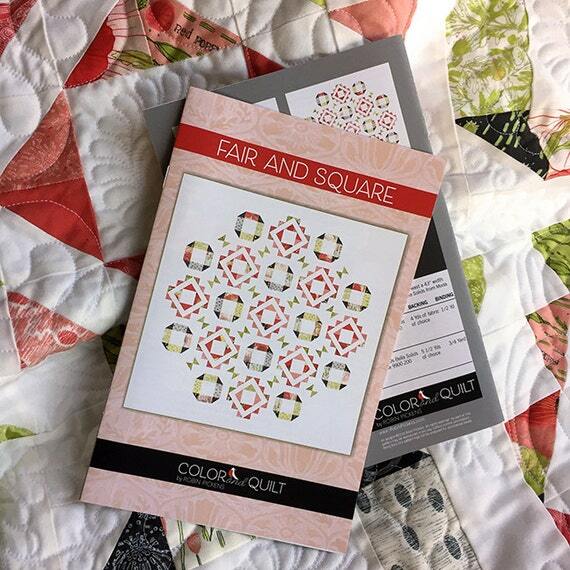 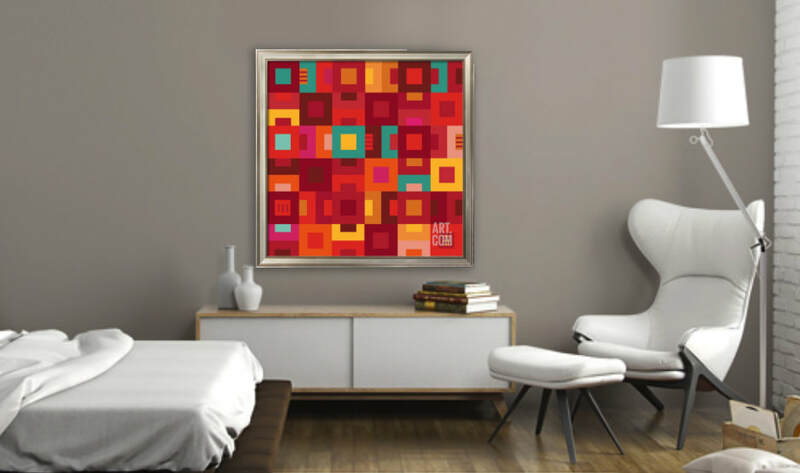 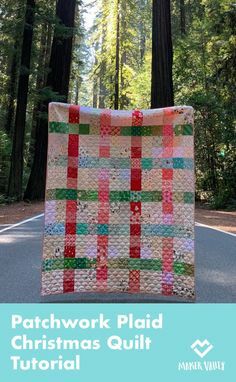 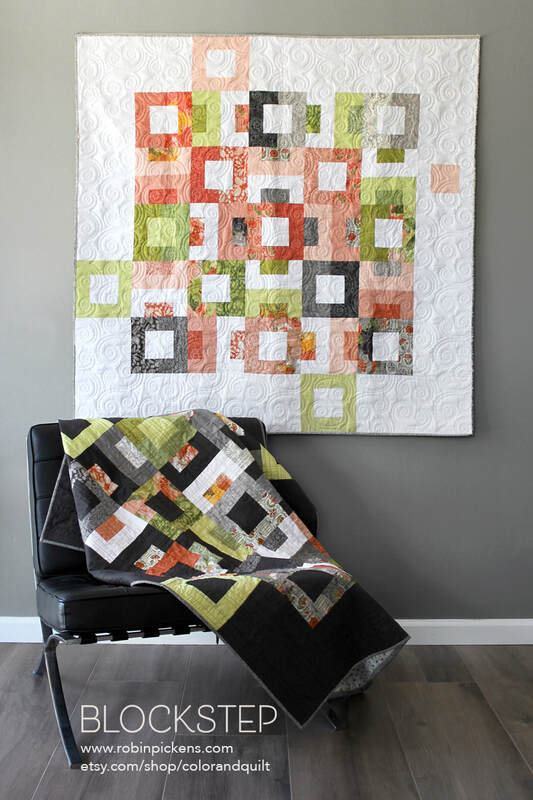 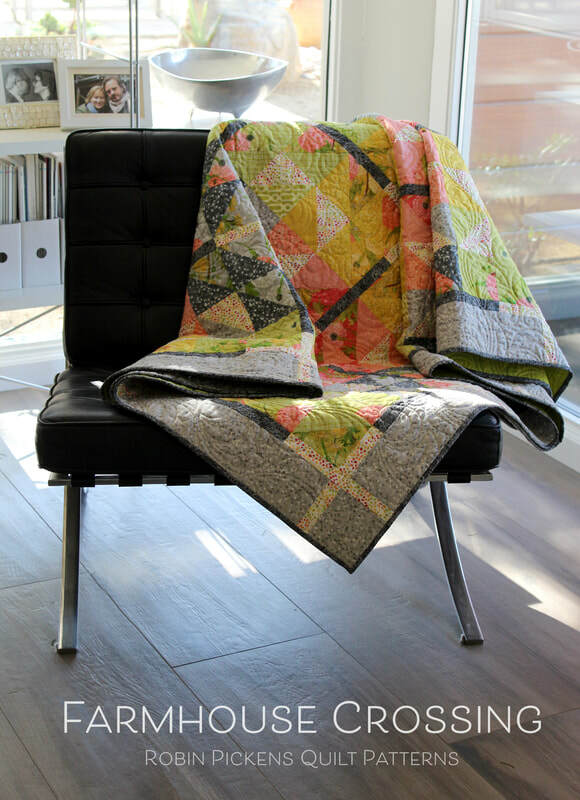 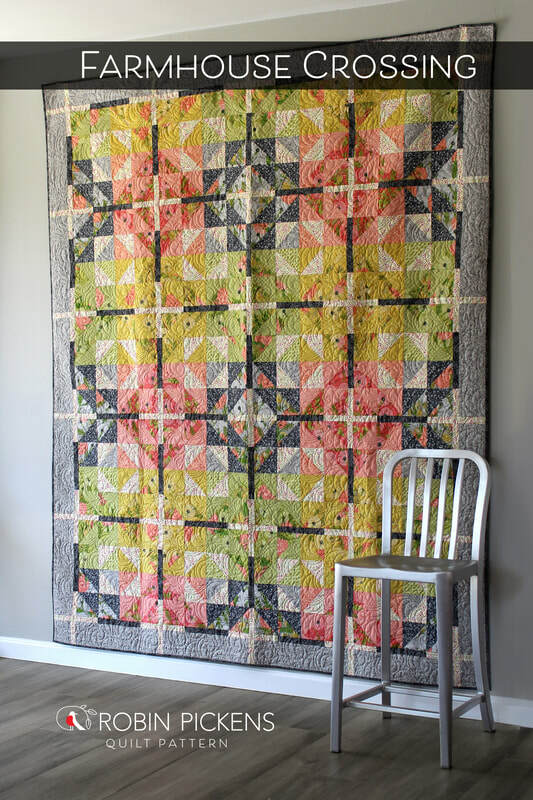 Hopscotch Happy Quilt Pattern by Robin Pickens. 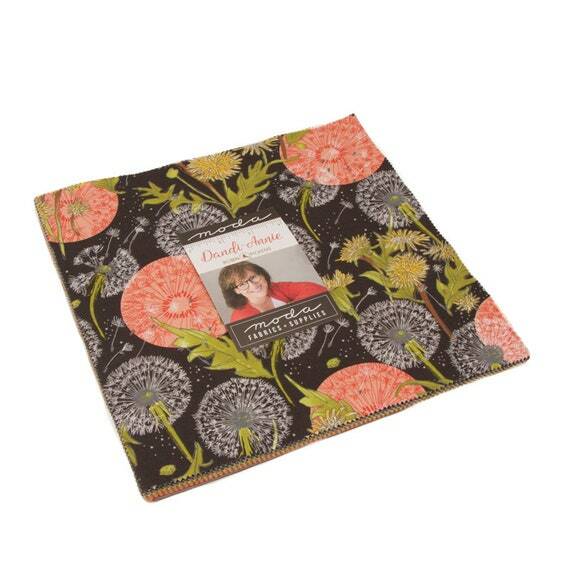 Available at https://www.